Serving: Boise Idaho and beyond. 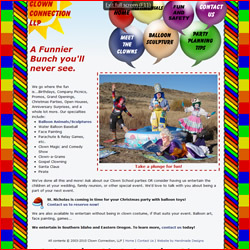 The Clown Connection, LLP is a fun bunch of performers that are perfect for Birthday Parties, Picnics, Grand Openings, Anniversaries, Open Houses, Holiday Parties, and more! Some of the great services also provided include Face Painting, Clown Games and Clown-O-Grams, Santa, Pirate Clowns and more! 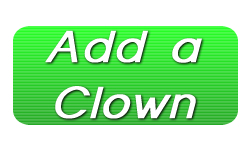 Call today or visit our fun website for more info on the Clown Connection LLP.